As this is a strategy game, in which certain units start to appear close to set times and res flow ticks every few seconds. A round timer on the hud would be really useful instead of having to keep checking the scoreboard. Games like Dota2 uses it and it is very useful. It helps players coordinate effectively and lets them see what stage of the game they're at. 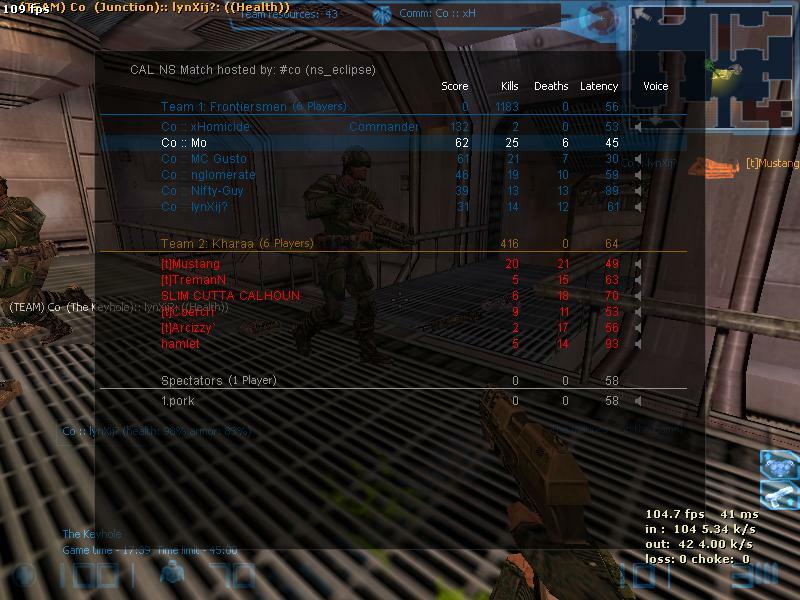 Plus it was in ns1, or at least some servers. Press TAB to see the scoreboard, it also has a timer. Yep, it was very handy. Please, no more stuff on my HUD! Looks like a server mod. Besides that: I hate every unnecessary thing on the hud (including permanent clocks/timers), so its fine to have it on the scoreboard. Eventually an option to toggle it would be nice, though. It isn't unnecessary, it is actually useful. I agree, it is pretty dang useful to know what stage of the game you're at. I often join late and hitting tab is an easy way to see what stage the game is at. But for when I am actively playing I lose track of time because I am focusing on playing, and I don't like having to hit tab all the time, especially since I forget most of the time. Having the timing would be very useful imo. It may be useful for some players, but not important enough to be visible for all players all the time. I agree that knowing the game time is useful, but it takes two seconds to check tab. There's no reason to enable a hud timer on everyone's screen unless there is also an option to turn it off.